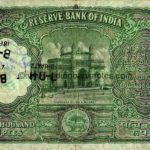 first issued in 1954; demonetized on 16th january 1978 vignette of gateway of india at bombay, india on reverse. 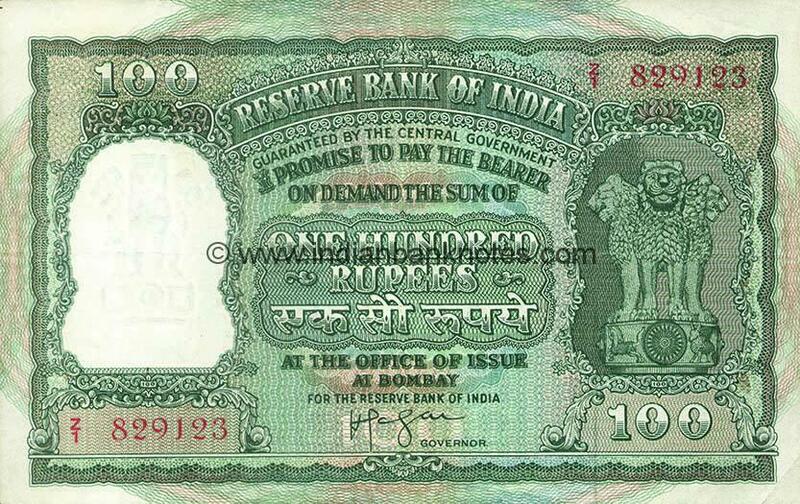 RESERVE BANK / OF INDIA in two lines below GUARANTEED BY THE CENTRAL GOVERNMENT and promise text. 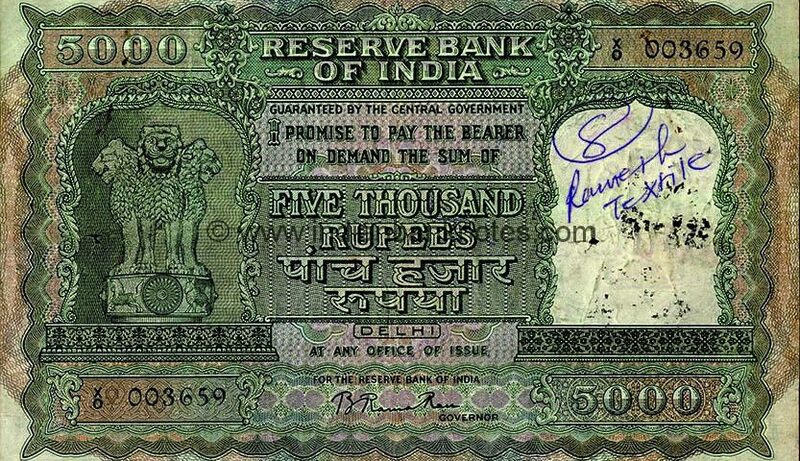 Signed by Governor ‘For THE RESERVE BANK of INDIA’. Ashoka Pillar in left window, FIVE THOUSAND / RUPEES and PAANCH HAJAAR / RUPAYA in Hindi in Central Denomination Panel with circle of issue below it in centre. Serial number in top right and lower left. 5000 in top left and lower right. Multi colour microtint in all four borders. RESERVE BANK OF INDIA in centre, language panel on right window. 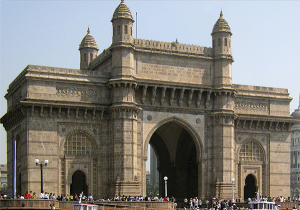 Vignette of Gateway of India in central panel with ‘GATEWAY OF INDIA, BOMBAY’ written below it. 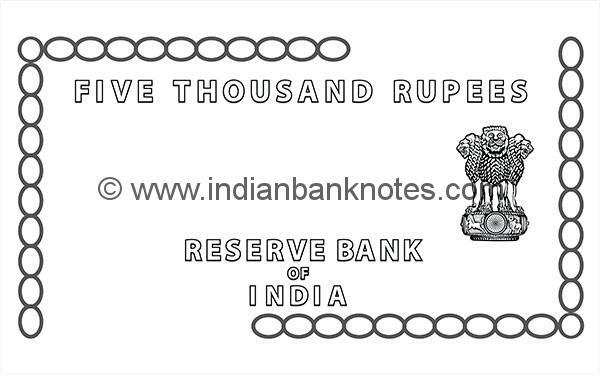 RBI seal in centre below. 5000 on top corners. 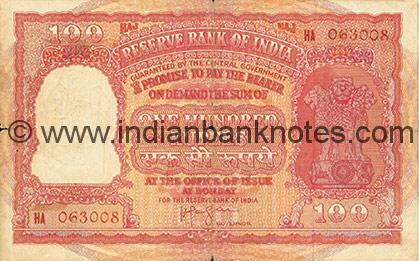 PAANCH HAJAAR / RUPAYA in Hindi below right window and FIVE THOUSAND / RUPEES below watermark window. Ashoka Pillar on right, Vertical ten links on left connected to ten links horizontally on top, vertical ten links on right connected to ten links horizontally below. 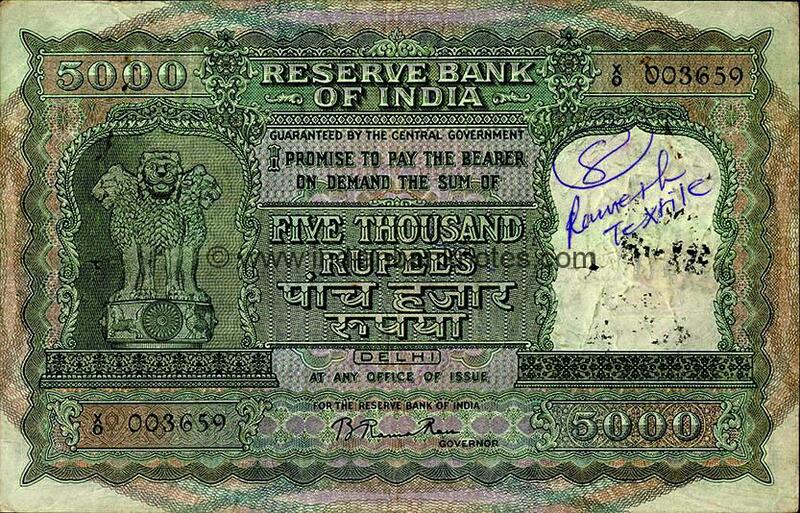 FIVE THOUSAND RUPEES on top. 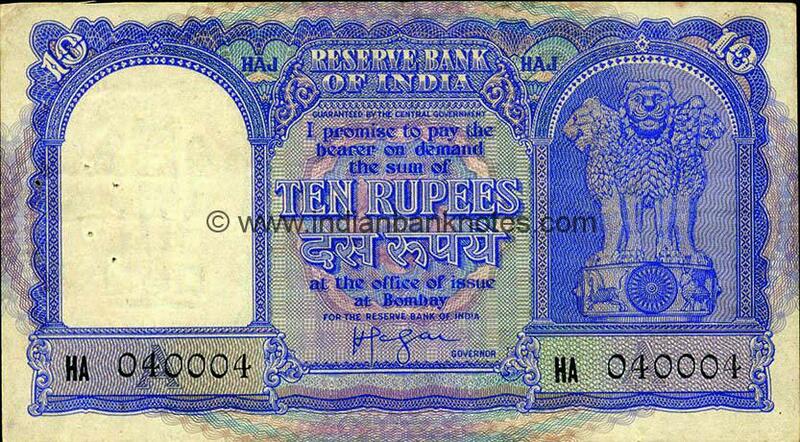 RESERVE BANK/OF/ INDIA in three lines in lower centre. Bombay, Calcutta, Delhi, Kanpur, Madras. 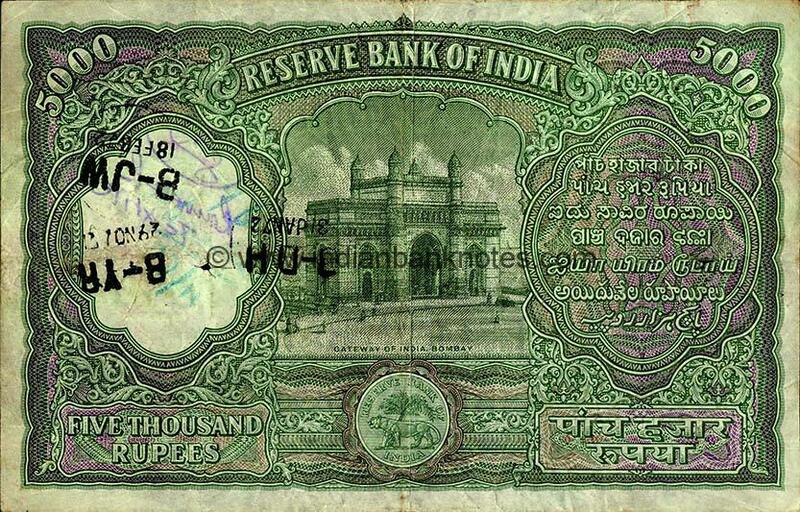 The only note with watermark window on right side Gateway of India Mumbai: The engraving on the Gateway of India reads “Erected to commemorate the landing in India of their Imperial Majesties King George V and Queen Mary on the Second of December MCMXI” - 1911. 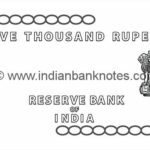 © 2017 Indian Bank Notes. All Rights Reserved.